ABSTRACT: Over the past decade, electric power production in the United States has shifted away from coal to natural gas. Much attention has been paid to the greenhouse gas implications of this feedstock change, but less to the consequences of the concomitant non-GHG emissions reductions. This project leverages the natural experiment of individual units that have switched technologies (a sharp discontinuity) to connect technology changes to emissions changes to observed environmental changes. By integrating satellite observations, ground-based measurements, and chemical transport modeling, this work quantifies the impact of the natural gas transition on the quantity and chemical composition of column aerosol and surface particulate matter, and the subsequent implications for human health, crop yields, and climate. BIOGRAPHY: Jennifer Burney is Assistant Professor at the School of Global Policy & Strategy at the University of California, San Diego. Her work focuses on the relationships between climate and food security: measuring air pollutant emissions and concentrations, quantifying the effects of climate and air pollution on land use and food systems, understanding how food production and consumption contribute to climate change, and evaluating technologies and strategies for adaptation and mitigation among the world’s farmers. 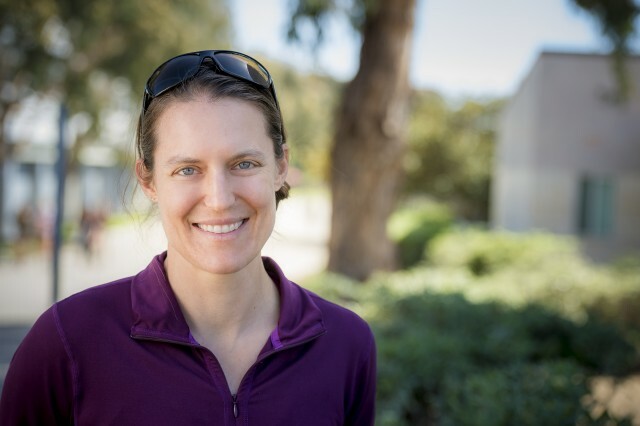 She earned a PhD in physics in 2007, completed postdoctoral fellowships in both food security and climate science, and joined the UC San Diego faculty in 2012. She was named a National Geographic Emerging Explorer in 2011.